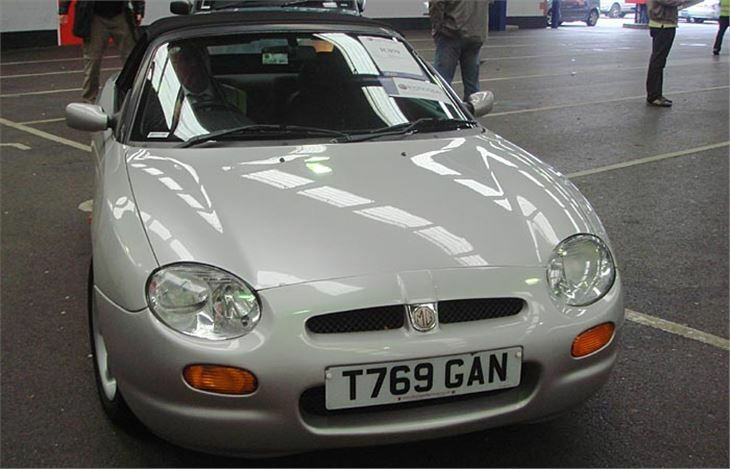 The hot news from MG is that you can now buy a brand new MGF 'on the road' for just £15,500. It's not a stripped-out version either. For your £15,500 you get power steering, alloy wheels, a proper alarm-immobiliser, electric windows, a peppy and economical 112bhp 1.6 twin-cam engine and the big advantage of low Group 11 insurance. We'll get onto how the car drives later. 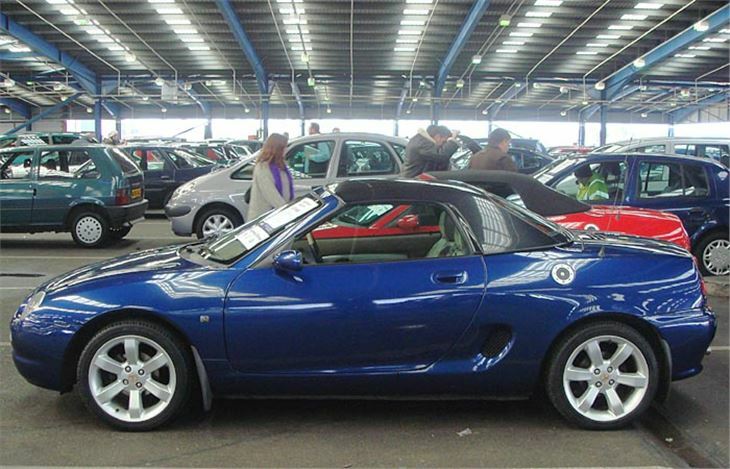 The other hot piece of news from MG is the scorching 160bhp MGF Trophy SE, at £20,995 on the road. But Rover/MG is also keen to emphasise the way in which it intends to build an MG version of every model in its range from the 25 to the 75. The MG versions will be badged ZR for the 25-based cars, ZS for the 45-based cars and ZT for the 75-based cars, to be topped off by a ZT with no less than 375bhp. MG ZRs will compete in the World and British Rally Championships; MG ZSs will campaign the British TOCA Touring Car Championship; MGFs will continue racing the MGF Cup and the Abingdon Trophy; while Lola and MG have got together to produce a Le Mans car. So clearly MG is getting back to its 1920s and 1930s roots, when racing improved the breed and the breed sold on the strength of its racing successes. 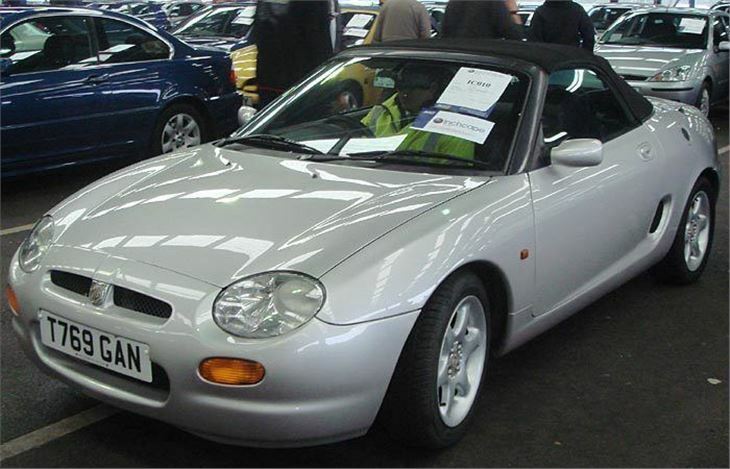 That should bring us straight to the MGF Trophy SE, which is based on the MGF Cup cars. But better to start with the new 1.6i and work our way up to the hot one. MGFs have had their troubles in the past, especially the build quality during the first three years of production. But the company has lived and learned, the model is six years old now, and pretty well all the bugs have been ironed out. It's still the only production mid-engined sports car in its price range. And, as sports cars go, it's very practical. 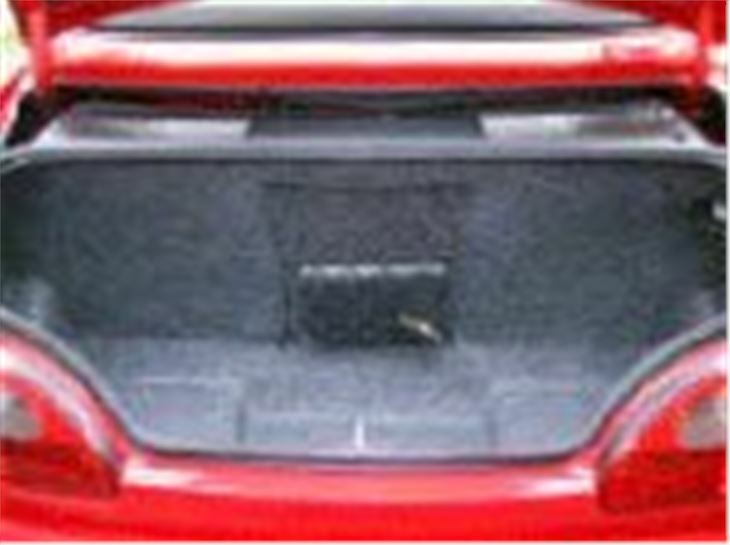 The rear boot (see the photo) will easily take several pairs of golf clubs and a collapsible trolley too (try that with a Toyota MR2). 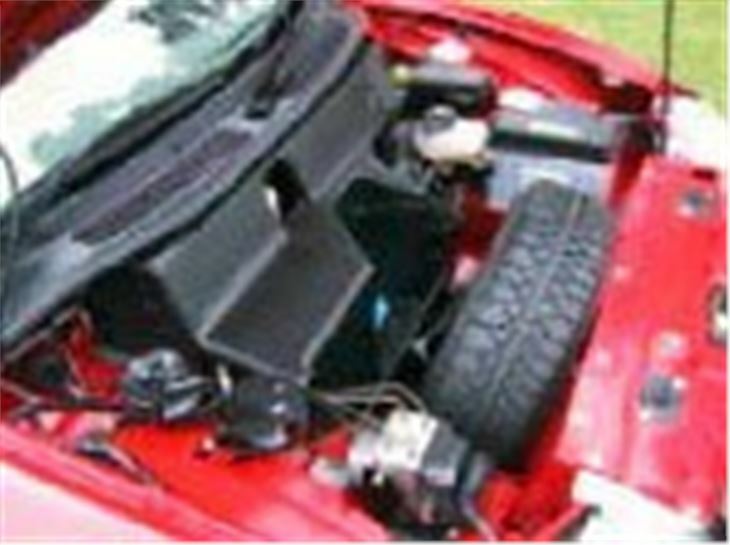 And if the boot in the back isn't big enough, there's space in the front around the spare wheel, battery and ABS pump (where fitted) to stash all kinds of other bits and pieces. The Hydragas-suspended ride quality is exceptionally good for a sports car. There's plenty of room inside. It's easy to get in and out. And all models now have power steering. The only bugbear is the hood, which lacks a glass rear screen like that of the Mazda MX5. This means that, though you can raise and lower the hood just as quickly, you're eventually going to crack the plastic rear screen if you don't unzip it first. And unzipping it can lead to broken fingernails. But there's no doubt that the 112bhp 1.6i (the red car in the pictures) goes better and has more driver-friendly handling than the MX5 1.6. For a start, it revs cleanly to 7,000 rpm. It has a nice, quick gearshift. And, with plenty of rubber on the road and the mid-engined layout, you've either got to be trying very hard indeed or you've got a screw loose in your head to unstick it. So a definite thumbs-up for this one. Moving on swiftly to the 160bhp Trophy SE (the blue car): this goes like a scalded cat. You really can put on the miles per hour very quickly indeed and, though you can unstick it if you want to, get it right and the tyres stick like glue. You can feel that you are driving a racing car on the road. 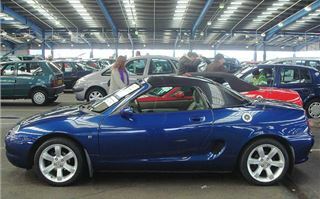 But unlike uncompromising road racers such as the beautiful Lotus Elise, the MGF Trophy SE is completely practical. 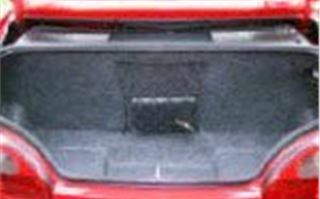 It has the same front boot and huge rear boot as the 1.6i. It's comfortable. It's easy to get in and out. So for day-to-day use it leaves the finer-handling Elise for dead. Down-range from the Trophy there is still the 145bhp MGF VVC (the green car). This will pull the same sort of speeds as the Trophy, but takes longer getting there. And the example I had didn't feel as together as either the Trophy or the 1.6i. It rattled and twitched where neither of the other two did, on exactly the same roads. And it's only £1,500 cheaper than the Trophy. The standard 120bhp MGF 1.8i soldiers on, with a higher spec than the 1.6i and better performance at lower revs for an extra £1,500. 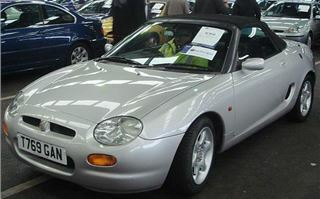 And this car is the basis for the only automatic MGF. 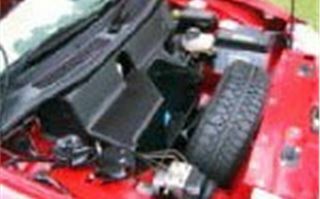 The MGF Stepspeed autochange has a CVT transmission with six selectable ratios. You can leave it in 'Drive', where it behaves like an ordinary automatic. Or you can shove the lever over to the left and either select the changes with the lever (back to change down; forward to change up), or you can use a pair of buttons on the steering wheel that look like refugees from a child's plastic model spaceship. But even if you do try to take control, the electronics take over and the box changes up at 6,000rpm, so you can't have much fun. 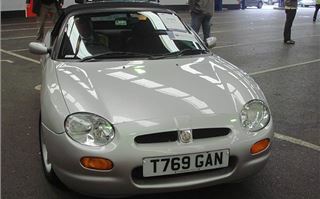 It's an automatic for people who 'must' have an automatic (15 per cent of the MGF market - most of it in Asia and Japan), but it doesn't get my vote. What do get it, though, are the bottom-of-the-range 1.6i and the top-of-the-range Trophy SE. Especially now that the Met office is predicting Britain's best summer for at least five years.